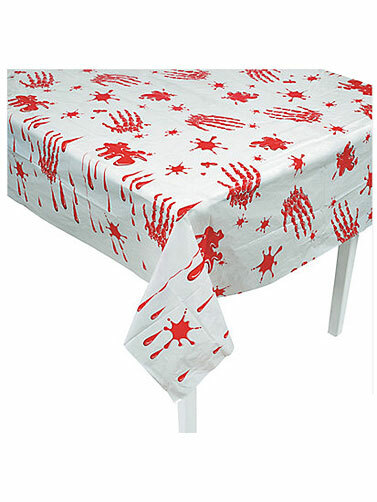 The bloody handprints on this white table cover will set the right scene this Halloween. The plastic rectangular cover will protect your wood table finishes. Perfect for your Halloween parties and prop displays. Bloody Handprints Table Cover measures 54" x 72.